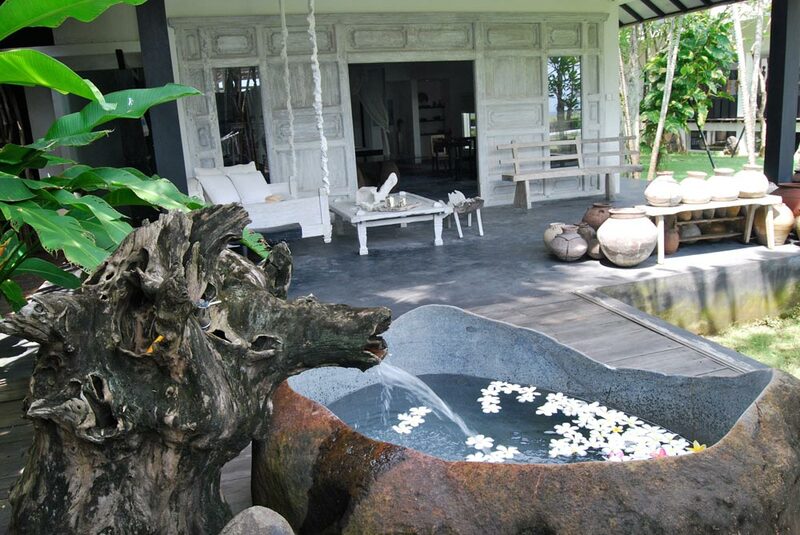 Majapahit Suite is a house with a private garden. 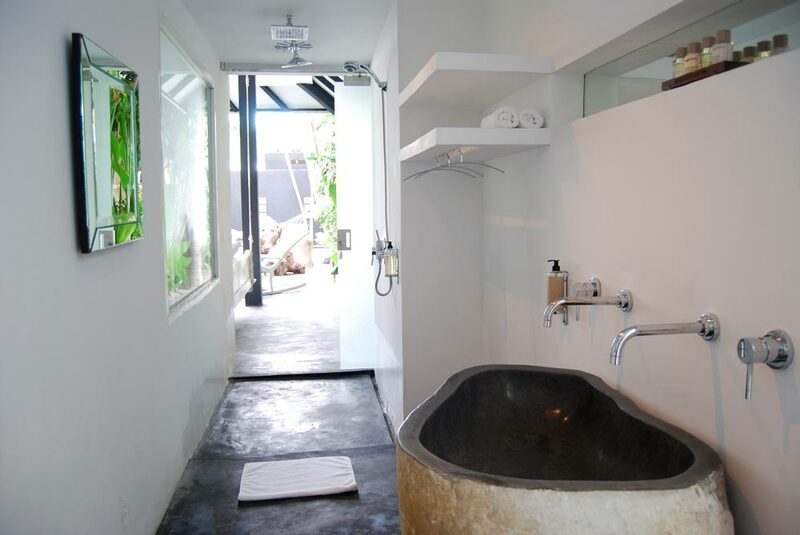 The Majapahit Suite has a huge indoor rain-heads which communicates with an open air private garden and is fitted with a hanging bed and a stone bathtubs. Majapahit Suite (170 m2): 1 king size bed, salon and office space, a stone bathtubs en-suite shower, terrace, Individual controlled air conditioning, Hair dryer, in room safety box, International Satellite TV channels, Stereo System, DVD player.